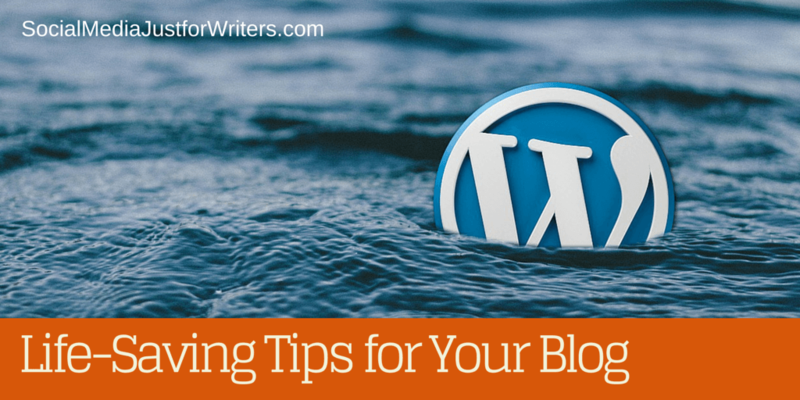 We’re talking about author blogs today, so I thought I’d some of the WordPress plugins and apps that I rely on to support my blog. This simple plugin is a must-have on every blog. It simplifies the mystery behind SEO by showing you in red or green text whether you are using your designated keywords sufficiently. I’m not savvy when it comes to search engine optimization, so I love this plugin because it makes the process easy. And you can use it to set up your Twitter Card too – a cool option for every blog. It’s been a while since I talked about blogging so I decided to share today some incredible posts I’ve recently discovered. As usual, this week’s episode includes summaries of four blog posts with awesome suggestions and, of course, I have your tip of the week. Jody Rein is a literary agent and developer of software for authors. She created a website called Writers’ Blog Finder just for authors like you. You can use this tool to find the top blogs in a number of given categories. You won’t be able to enter just any keyword. You will need to select a blog category using her designated keywords for your category and a sub-category. She explains that the goal of her tool is different than Google or Safari. She wants to provide writers with a useful filter that produces search results of blogs that she and her colleagues have personally visited.